One of the major tax breaks that the new tax laws provided was the implementation of the 21% flat Federal tax rate for C Corporations. Because of this, many existing companies may look to convert their existing business structure to a C Corporation while some new entrepreneurs may also want to consider C Corporations. Since the creation of the S Corporation and the Limited Liabilities Company, most small businesses have chosen these tax structures. This is for good reason as the taxes pass through to the shareholders at more favorable tax rates and for other tax and legal issues. Although C Corporations do have disadvantages compared to these entities, the tax code does provide some hidden gems for C Corporations. One of these code sections, IRC Section 1202, may provide a substantial tax break for the shareholders of certain C Corporations. This code section is very complex, so let’s dive into the basics. 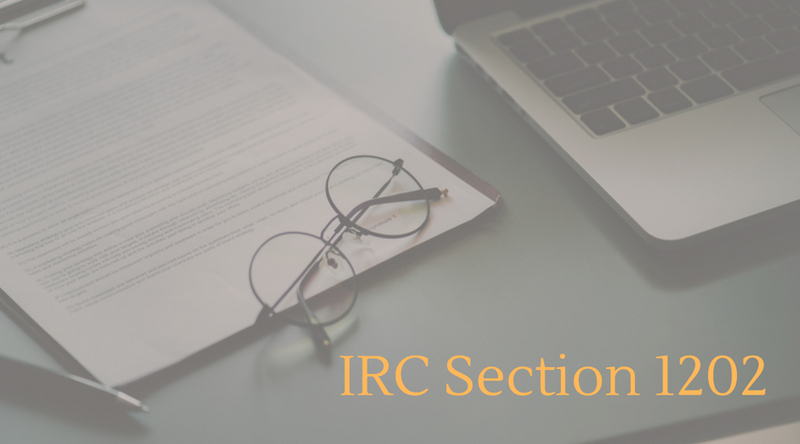 IRC Section 1202 allows shareholders of certain Qualified Small Business Stock (“QSBS”) of a C Corporation to exclude the gain recognized on the future sale of the stock. The issuer of the stock must be a domestic C Corporation and the stock must be issued after August 10, 1993. The stock must be acquired in exchange for cash or property or as compensation for services to the corporation. The C Corporation’s assets must be $50M or less at all times before and after the issuance of the stock. The C Corporation must use at least 80% of its assets in an active business. The C Corporation must be an active trade or business and cannot be involved in personal services, banking, insurance, financing, leasing, investing, farming, mining and/or the operation of a hotel, motel or restaurant. This rule is similar to the how the IRS limits the application of the new IRC Section 199A deduction for business owners. Who exactly qualifies for Section 1202? In general, the original, non-corporate original shareholders of QSBS qualify as long as the QSBS is held by the shareholder for more than five years. The QSBS can be held directly or indirectly by the shareholder. Direct shareholders are those who purchase the stock themselves from the issuing company. Indirect shareholders may hold the stock through partnerships, S Corporations, trusts, etc. Even if the QSBS isn’t held for the five-year waiting period, there is still an option to take advantage of the tax benefits under IRC Section 1045. If the QSBS is held more than six months but less than five years, the gain may be able to be deferred by reinvesting the proceeds into another QSBS within 60 days. This is somewhat similar to the tax deferral for real estate under IRC Section 1031. As long as the above rules are met, the shareholder may exclude up to 100% of the gain on the sale of the stock. Of course, there are some limitations on this as well. The excludable gain is limited to the greater of $10M or 10 times the adjusted basis of the stock (generally, this means the purchase price). The first thing to do is call your tax advisor to discuss if this code section applies to your company and its shareholders. If you do qualify, the next step would to speak with a tax lawyer to set up the necessary paper-work. It is extremely important to document the Section 1202 treatment as the IRS does require the taxpayer to submit reports that carry out the purpose of this code section and can impose penalties for failure to properly report the exclusion. Should you have questions, please feel free to contact me directly!